The .moe Domain is Here! – .moe Landrush Is Over, Now What? .moe Landrush Is Over, Now What? First of all, thanks to all those who participated in the Landrush! For many of you this may have been the very first time you’ve ever purchased a domain — and that is really exciting. We hope we can help you find value in your purchase as we move to the operational phase of .moe. If you didn’t participate in landrush, you’ve got plenty plenty of to secure the .moe domain you want via pre-registration. Head over to get.moe, search for your name, and select any of the partners on the list to pre-register for General Availability on 7/22. How Will Landrush Applications be Processed? The domain is not eligible (it was a blocked name and some how it made it though as an application. If you are the only applicant, CONGRATULATIONS! 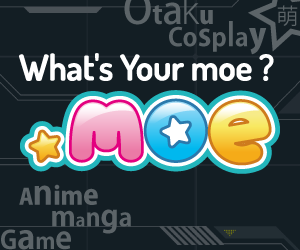 you have your very own .moe domain name! We’ll allocate the domain name immediately and send your registrar a real-time notification. Depending on how fast they process our notices you may see your domain in your Registrar Account within an hour of processing. If you haven’t heard from your registrar You can always check our whois to see if your name has been allocated. Just be patient; your registrar will get you set up as soon as possible. If your name has not been allocated, and you do not see it in the whois, then your name was likely applied for by other moe fans. Processing multiple applications takes a little extra time because we pass it to our auction provider to inject in the auction system. Once it is injected you will receive a notification from landrush(at)auctions.moe with all the details and scheduling of the upcoming auction. If your name was rejected for some syntax error that wasn’t caught when you searched for you name, then your registrar will receive real-time notifications from us and send you information right away. This is really rare and we’ve been very careful to take all precautions to ensure this doesn’t happen. Good luck and please share your domains with us. We can’t wait to see what you do with them! As always, please feel free to leave comments questions below or get a hold of us though your favorite social channel. So are my applications still under process? Shall I wait or do something? I have one question, the whois on domain is customizable or is allowed do hide to Privacy? Hi Durangos, we allow registrars to provide whois privacy service. Please contact registrars for more details. Thanks for the help, all registrars that support moe have privacy option or registrar decides if offer this option or not? I tried to enable this option on my registrar and their panel display that this option isn’t allowed to my domain. Hello, I try to register loli.moe domain name, but it is Unavailable, then I query WHOIS information, nobody register it, so how can I register this domain name? We hope to be able to make it available in the near future. Hello! I won the auction for a domain a week ago have haven’t been properly charged for it or recieved my domain yet, how long will this take?